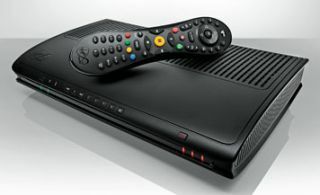 UPDATE: Virgin Media launches TiVo Android and Harry Potter apps, iOS app to follow | What Hi-Fi? In addition to its Android/iOS control app (see below), Virgin Media has also developed a Harry Potter app for its TiVo cable TV service. To celebrate the release of Harry Potter and the Deathly Hallows - Part 2 on July 15th, the app will be added to TiVo's Apps and Games section. Designed in conjunction with Warner Bros, the app gives TiVo users quick access to the Six Harry Potter films on Virgin Media through a dedicated collector's folder. There's also a selection of additional Harry Potter content. Virgin Media has today launched an Android smartphone app for its TiVo video-on-demand service, and says an iOS4 version for iPhones/iPads will follow soon. The app allows customers to browse Virgin's TV guide, see what's on over the next seven days and remotely set recordings from their mobile device. It's available now from the Android Market Place, and will be coming soon to the Apple App Store. Users can personalise the app by creating a list of their favourite channels. For those who don't have a smartphone, Virgin Media's TV guide for mobile web is available at: m.virginmedia.com/tvguide.